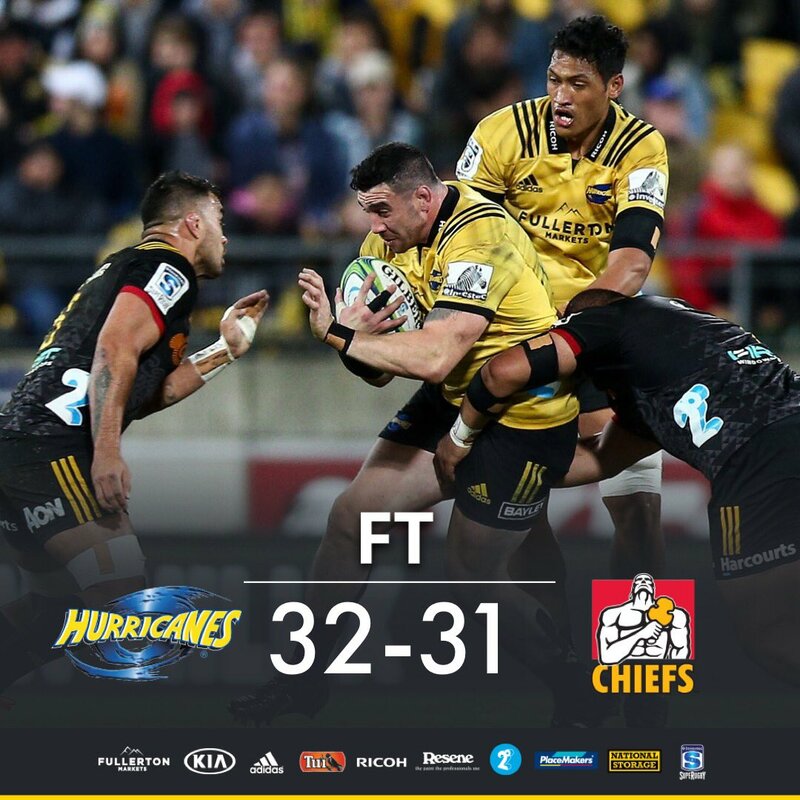 FULL TIME - Two late tries by the Chiefs closes the gap to 1 point but it is the Hurricanes who advance to week two of the finals beating the Chiefs 32-31 in a highly entertaining match. A nice moment for Ngatai as he finishes his Chiefs career by kicking the final conversion. Boshier ensures the Chiefs have the final say in the match as he crahes over to score from close range. YELLOW CARD HURRICANES (Vaea Fifita) - Fifita is sent to the sin bin in the final minutes for esculating play after a penalty had been awarded. McKenzie wastes no time adding the conversion to close th gap to 8 points. A consolation try for the CHiefs as Mckenzie scores off the back of a nice line break by Alaimalo. Huge defence from the Hurricanes as Karpik is smashed in a 2 man tackle and concedes the turnover at the breakdown. The crowd are in full voice as May wins a penalty at the breakdown. The home fans are enjoying the final minutes as they know their side are through to the semi-finals next week. The Chiefs butcher a try as Mckenzie throws a short pass when the ball needs to go wide and the ball is knocked on and then played by a man in an offside position. It's turn peer shaped here for the Chiefs as Mckenzie's kickoff doesn't travel the required 10m. A super strike from J.Barrett as he drills the conversion from the sideline to extend the lead to 15 points. Clinical play from the Hurricanes as they play direct from the scrum through Laumape before giving Lam a one-on-one opportunity with McKenzie which he takes advantage of by scoreing in the left corner. Both coaches are starting to clear their bench as they look to inject fresh legs for the final 12 minutes or so. The Hurricanes are playing the game at the right end of the field as they look to close out this match. They know that if they can keep the Chiefs inside their own half their defence is good enough to contain the visitors. MISSED CONVERSION HURRICANES - B.Barrett is off target for the first time tonight as he slices the ball past the right hand post. The Hurricanes lead by 8 points with 17 minutes remaining. 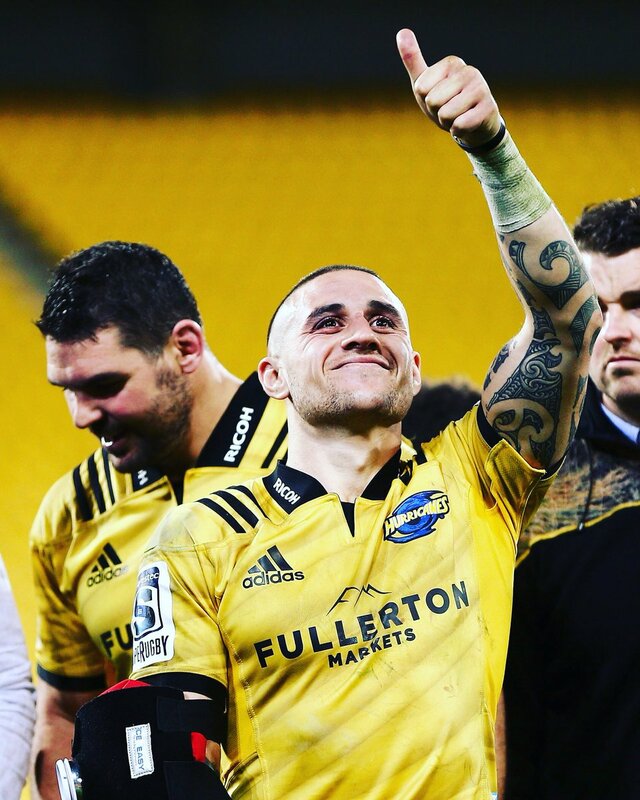 Pure power and determination from Perenara as he wriggles and twists his way over to score from the base of the scrum. That's soft defence from the Chiefs and they will be disappointed to concede that try. Superb goal line defence from Alaimalo as he rolls J.Barrett onto his back preventing the Hurricanes centre from grounding the ball over the tryline. J.Barrett slices through in midfield before linking up outwide with Savea who is taking to ground 10m from the tryline. 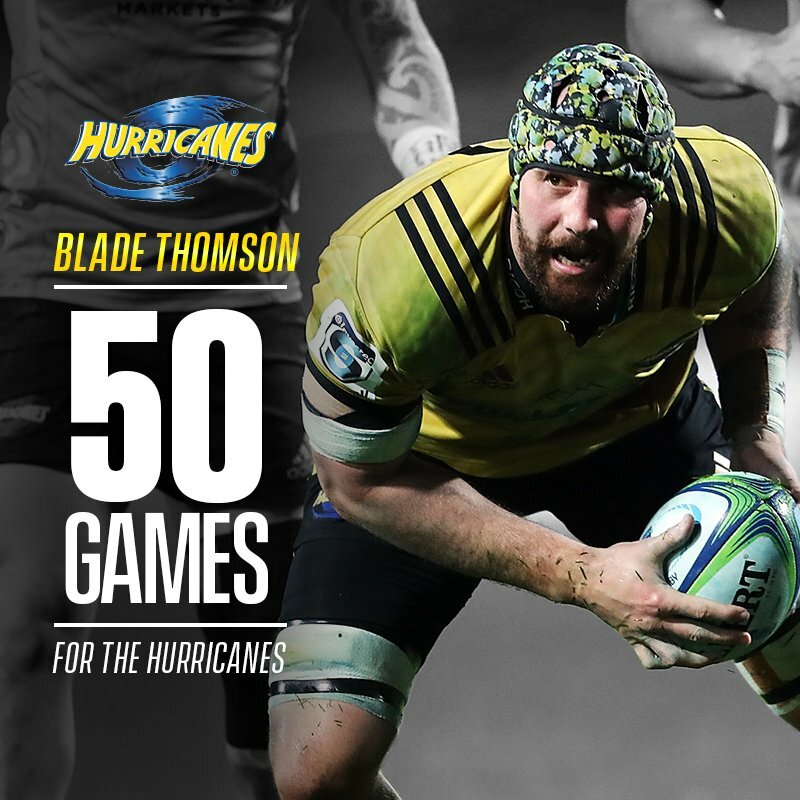 The Hurricanes are hot on attack. A Promising passage of play comes to nothing for the CHiefs as McKenzie's grubber kick rolls inside the Hurricanes in-goal allowing J.Barrett to touch it down for a 22 drop-out. Play restarts after some substitutions come onto the field. A superbly judged kick from B.Barrett as he curls the ball left to right, nudging the Hurricanes back in front 20-17. The CHiefs concede a penalty and B.Barrett will shoot for goal from 25m out and 10m in from the right sideline. McKenzie levels the score at 17-17 as he bangs over the conversion from 10m to the left of the sticks. The Chiefs turn nothing into something as Ngatai's kick holds up in the breeze allowing Boshier to grab the ball off the bounce. The flanker makes 40m before being taken to ground from behind by Perenara and from a quick recyle of possession Lienert-Brown scores from a wide pass. Superb defence from the Chiefs as they force an error from Fatialofa as he is hit ball and all by Boshier. The Chiefs must have defended 15-20 phases there. The Hurricanes forwards take over on attack as they look to pick and drive from the base of the ruck. The Chiefs fringe defence is holding firm for the meantime. Slick passing down the left edge from the Hurricanes as they pick up 30 easy metres before Savea is put into touch 5m from the Chiefs goal line. B.Barrett finds touch on halfway and Fatialofa wins the line-out for the home side. The Hurricanes receive the first penalty of the second half as the Chiefs are penalised for collapsing a rolling maul. Smart play from Alaimalo as he drills a long kick into touch just short of the Hurricanes 22m line off the back of a turnover at the breakdown. The players have returned to the middle and B.Barrett restarts play in the second half. 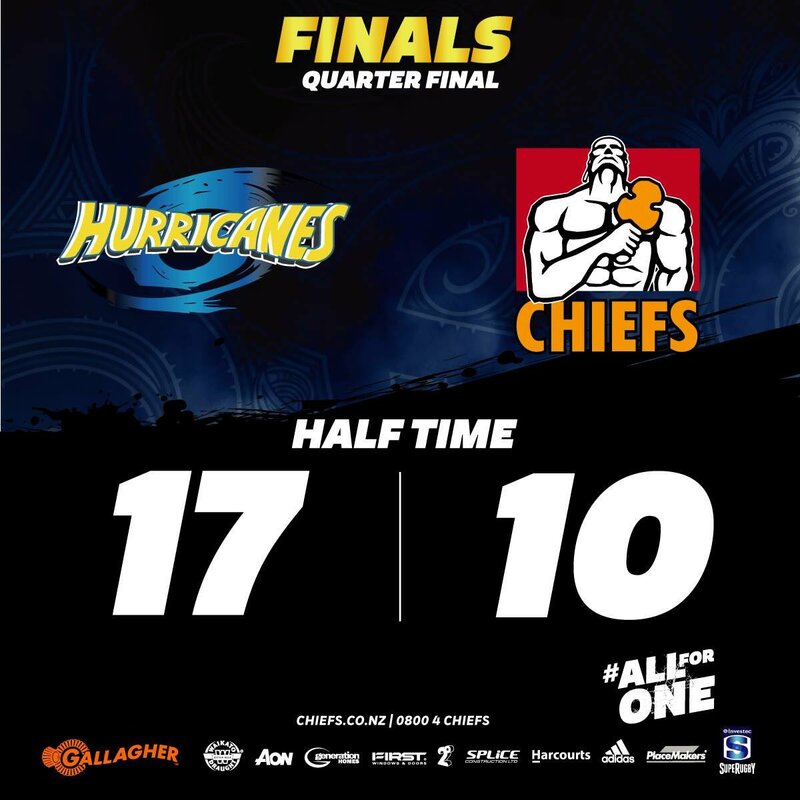 The Hurricanes lead the Chiefs 17-10 at half time in what has been a an entertaining 40 minutes. Both sides have been willing to throw the ball wide and are looking to play an expansive game. Lets hope we get more of the same in the second half. The Chiefs concede a penalty at the breakdown and B.Barrett kicks the ball into touch bringing the first half to a close. A halfbreak down the shortside from Weber has the Chiefs on the front foot with quick ball available. Here is a great attacking chance for the Chiefs with Weber set to feed a midfield scrum. A poor clearing kick from B.Barrett allows the Chiefs to swing onto attack on the Hurricanes 40m line. A spectacular catch at the back from Alaimalo as he out jumps Savea to mark the high kick from B.Barrett. Outstanding athleticism from the young fullback. B.Barrett makes it 3 from 3 off the tee as he kicks his second conversion from 15m in from touch. Perenara is awarded the try as the TMO rules there is no clear evidence of a knock on. TJ Perenara crosses the tryline from the scrum but we are off to the TMO for a potential knock on in the act of scoring. Huge defence from Laumape as he holds Ngatai up off the ground forming a maul and earning his side a turnover as the ball is ruled unplayable by referee Glen Jackson. Great goal line defence from the Chiefs as they stop B.Barrett 1m short of thr tryline and force an error as the Hurricanes play maker fails to pop the ball off the ground to Lam. An error at the back from McKenzie as he chooses to run the ball out from his own 22. He gets himself isolated on the ground and Evans wins a penalty for the home side. The hurricanes opt to kick for touch. Superb work at the breakdown from Lam as he wins a turnover for the Hurricanes. Milner-Skudder finds space down a narrow shortside and opts to roll a kick into touch inside the Chiefs 22. The Chiefs are slowly taking control of the match as they begin to control possession and territory. The Hurricanes need to work hard during this period without the ball as surely the wave of possession will turn soon. The Chiefs turn pressure into points as McKenzie slots his first penalty from 15m out in front. The Chiefs are hammering away at the Hurricanes defence and are only a couple of metres short of the tryline. 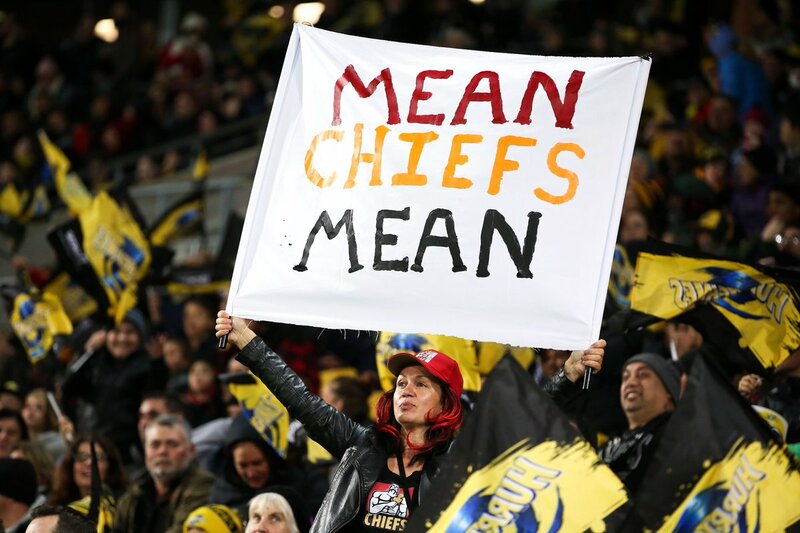 The Hurricanes invite the Chiefs back on attack as they concede a penalty on halfway. The CHiefs can build some pressure here if they get the line-out right. The Chiefs are back in possession as Ngatai crashes the ball forward in midfield, however Evans holds him off the ground and strips the ball from his grasp. Hurricanes on the counter-attack. Frustration for the Chiefs as the throw to the line-out is ruled not straight resulting in a cheap turnover. Hurricanes will look to clear the ball from a defensive scrum. The Hurricanes concede a penalty at the breakdown which allows McKenzie to kick to touch giving the Chiefs an attacking 5m line-out. B.Barrett adds 3 points to the Hurricanes score as he bangs the ball straight over the black dot. Ill discipine at the breakdown from the Chiefs as Boshier is penalised. B.Barrett will shoot for goal from 20m out in front. Mckenzie bangs over the conversion from close range to lock the score up at 7-7. McKenzie fires a wide pass out to the left which cuts-out multiple Hurricanes defenders allowing Alaimalo space down the wing. The young fullback draws in Milner-Skudder before passing back on the inside to put Weber over to score. Can you believe it J.Savea intercepts another attempted wide pass and sets sail from 70m out. An easy conversion first up for B.Barrett and he makes no mistake from out in front to give the home side an early 7-0 lead. A horror start for the Chiefs as McKenzie throws a looping wide pass which is intercepted by J.Savea and the winger sprints 40m to score under the posts. Referee Glen Jackson blows time on and Damian McKenzie gets play underway. There is a moderate wind blowing which will make the high ball swirl and make life difficult for goal kickers. 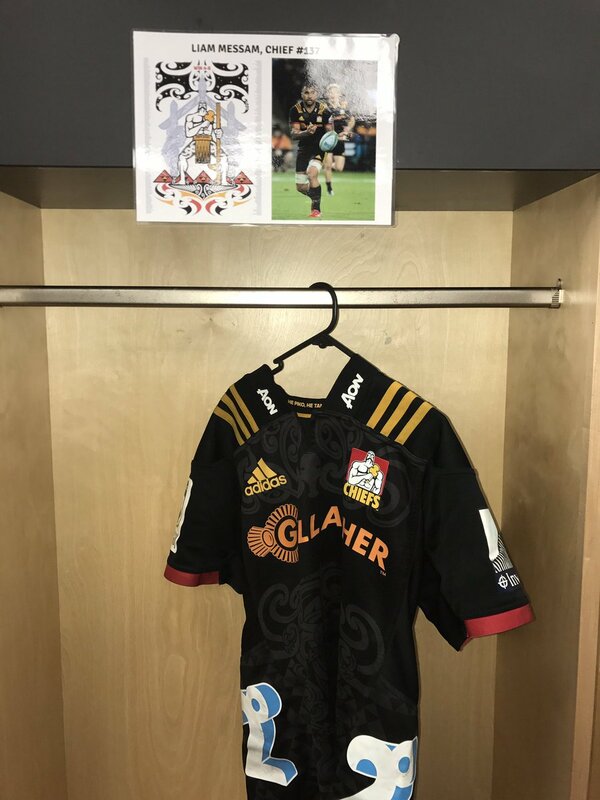 There are mouth watering match-ups all over the park here tonight but perhaps the key contest will be Beauden Barrett up against Damian McKenzie which is worth the price of admission alone. Both sides have plenty of firepower in their backline but you get the feeling that this clash will be won and lost upfront and at set piece. Welcome in to a huge weekend of Super Rugby action as we have reached the knockout stage of the competition. 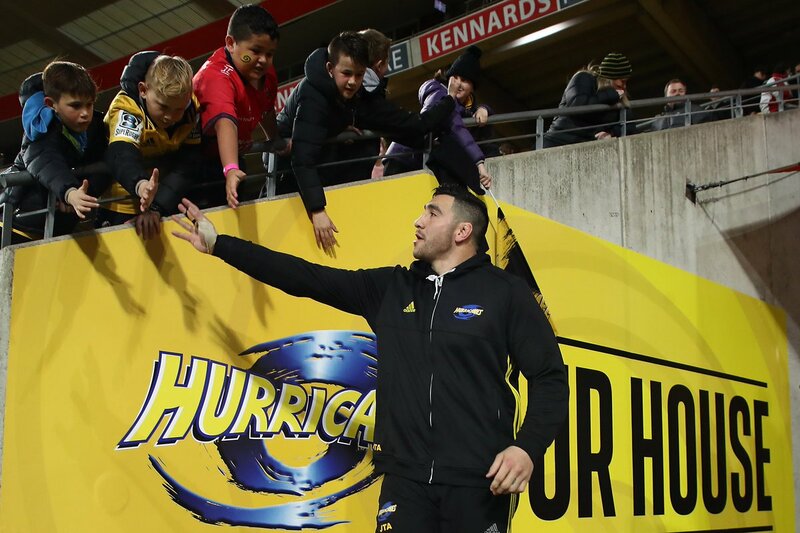 Tonight's quarter-final is an all New Zealand affair with the Hurricanes hosting the Chiefs from Westpac Stadium in Wellington. It is do or die for both sides with the winner moving on to the semi-finals while the loser goes home. @hughwebster2 Can you contact help@rugbypass.com and let them exactly what your issue is please? RT @NicolaLamb3: Thanks @ChiefsRugby players for trying your best this season. Lots of great moments.